If you’ve ever had a hard time eating your veggies, here’s some big news that could change your mind. 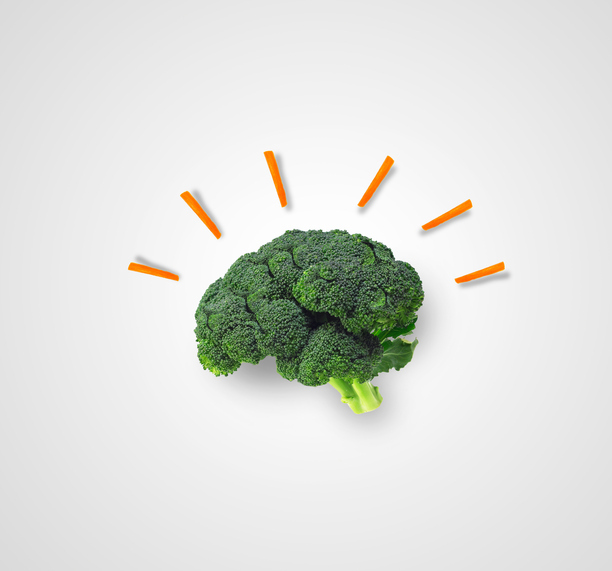 Eating a healthy diet loaded with veggies can actually increase the size of your brain! 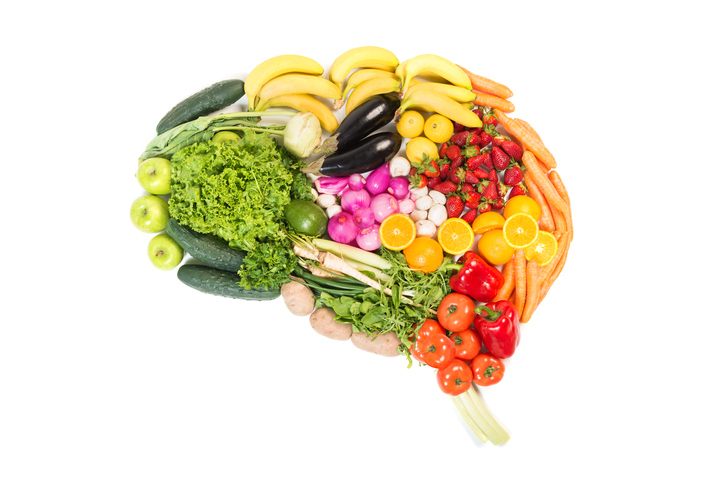 That’s right: eating more plant-based foods has been shown to boost brain size, while regular consumption of inflammatory, sugary foods is associated with a smaller brain. And while this may not have a direct bearing on intelligence, it does indicate greater brain health. A study published in Neurology asked over 4,000 older people in the Netherlands (average age 66) about what they ate over the course of 10 years. Researchers then analyzed participants’ brain scans. And what they found was very interesting. 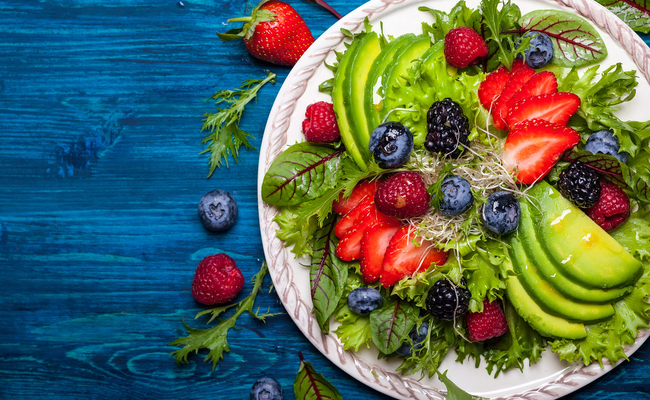 Those who ate diets resembling the Mediterranean diet–rich in greens, fruits, healthy fats, and lean proteins–were found to have a larger total brain volume, as well as an increased density of both grey and white matter. The hippocampus, which is responsible for processing memories, was especially greater in size among healthy eaters. Grey matter and white matter are the major components of the brain’s central nervous system. Your grey matter contains most of your neuronal cell bodies and all your synapses, which allow thoughts and messages to flow between brain cells. White matter connects different areas of grey matter to each other at super speeds, enabling messages in our brains to move so rapidly. This is important, because every year after age 30, we lose a small but significant percentage of our brain cells. After age 60, our brains actually start to shrink. So, according to the study, it seems that eating a plant-based diet may help slow brain cell and volume loss, even in your 60s and beyond. Needless to say, this research opens up the opportunity for understanding the connection between brain disorders and dietary habits. Healthy diets are already known to be preventative against neurodegeneration, but imagine being able to treat the early onset of diseases like dementia with some profound dietary shifts. Not sure how to start fueling for brain health? Genius Foods, a new book by Max Lugavere and Paul Grewal, MD, presents some excellent, fresh information about the best foods for fueling, re-energizing, and strengthening your brain. And yes, all of the foods he lists happen to be major players in the Mediterranean diet. It’s no coincidence. The science is there. You can also check out these vegan cooking tips for beginners, to help you eat more plants. If you’re worried about cost, look through these tips for eating plant-based on a budget. So, pile on the brain foods. Skip the nightly bowl of ice cream and opt for a green smoothie instead. Let thy food be thy brain’s medicine. Because of all the water?? Thank you, makes the brain bigger and the heart kinder.